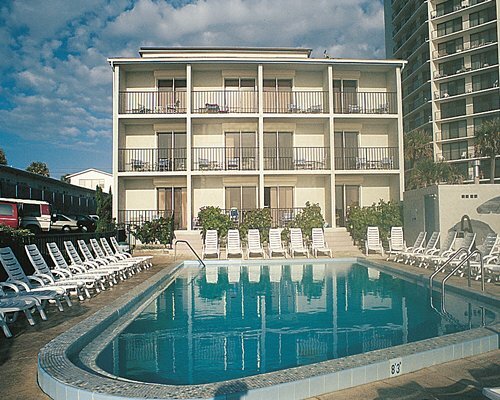 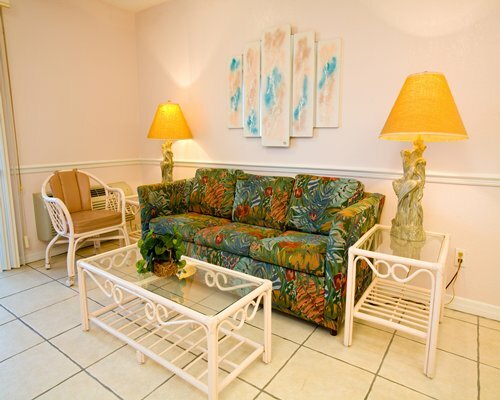 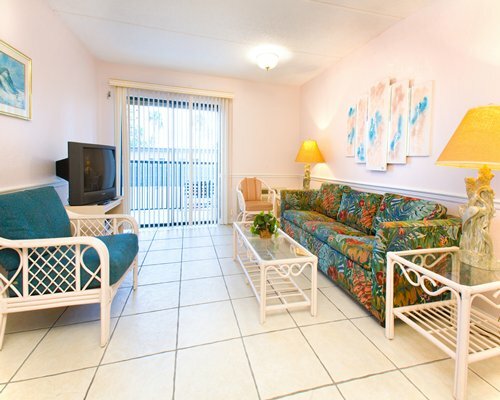 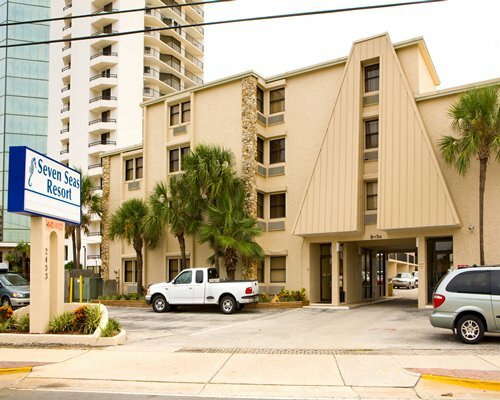 Seven Seas Resort Condo is located about 30 steps from the beach. 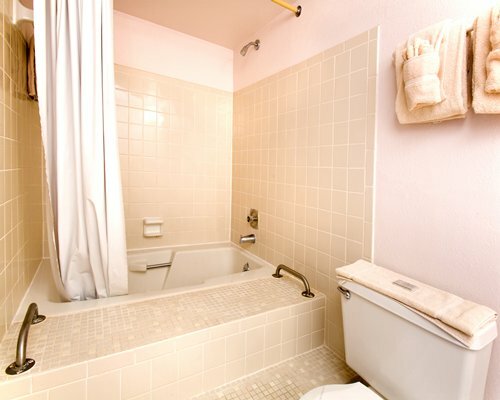 The resort provides beach towels for guest convenience. 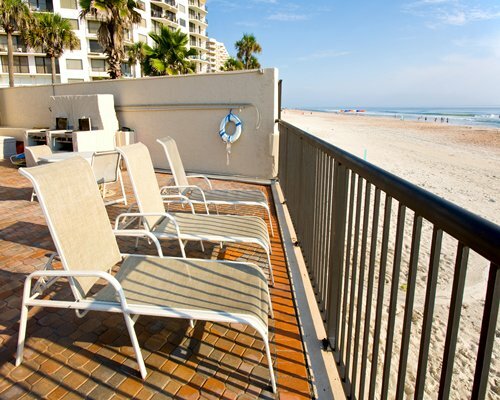 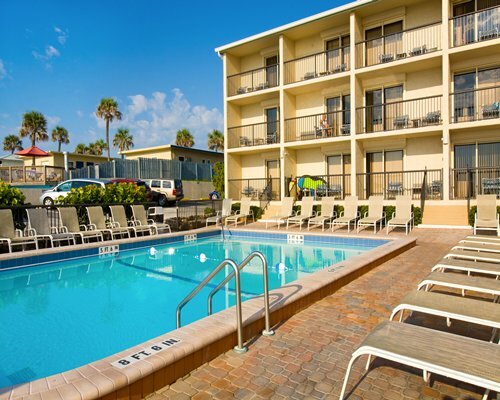 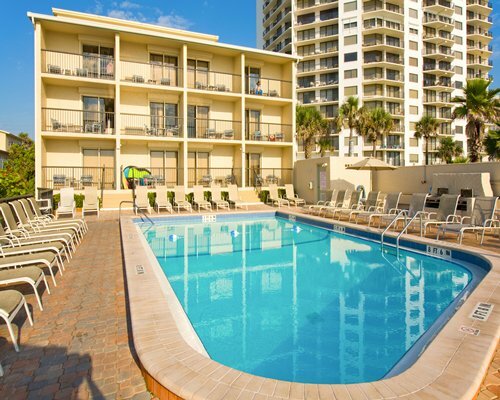 With its ocean-side deck and pool, spend a day in the Florida sunshine. 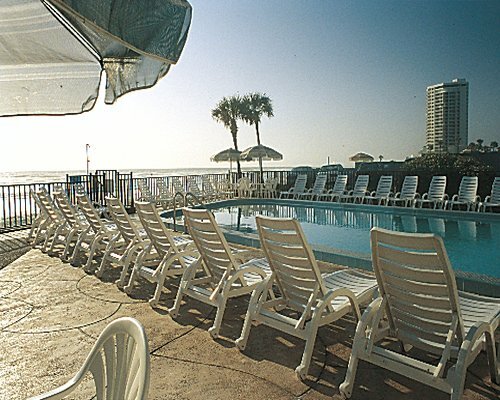 Families enjoy a barbeque on one of the gas grills adjacent to the outdoor pool. 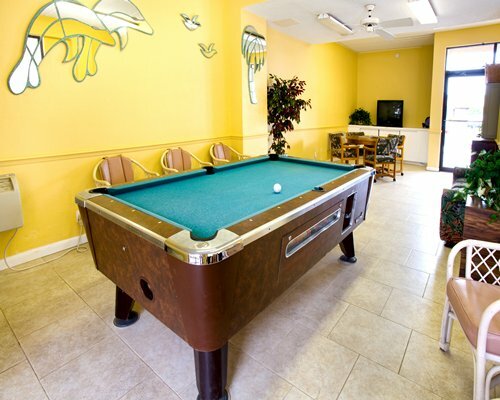 The game room features a billiards table. 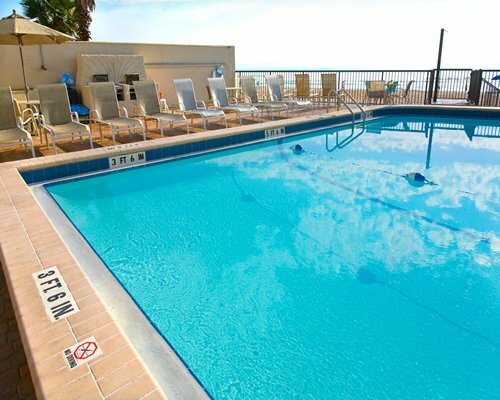 At the end of the day, watch the sun set into the horizon, and share an evening cocktail with that special someone. 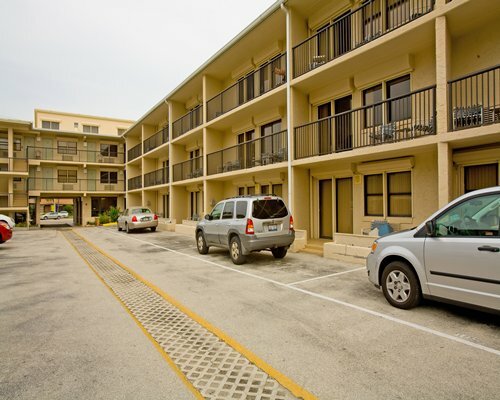 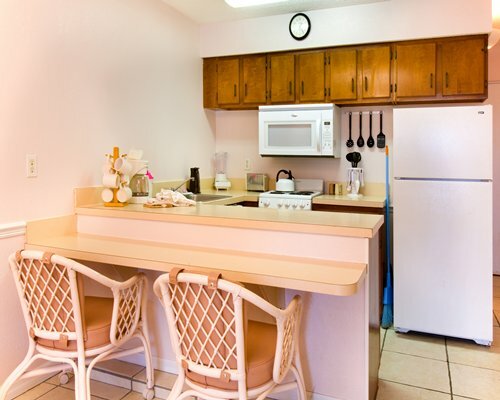 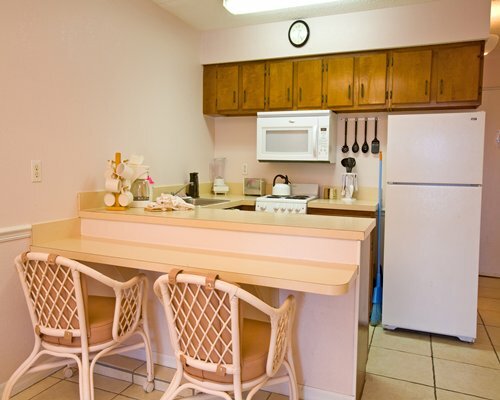 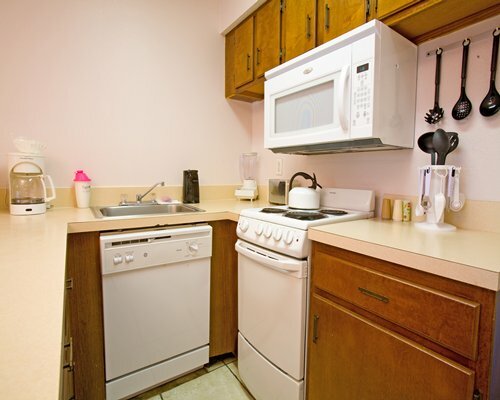 All units are air-conditioned and come with full kitchens with dishwashers and microwave ovens. 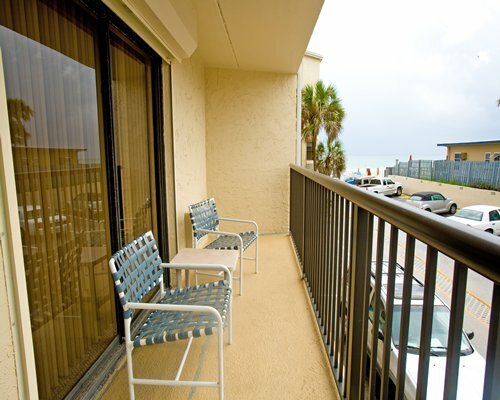 Some accommodations have ocean views. 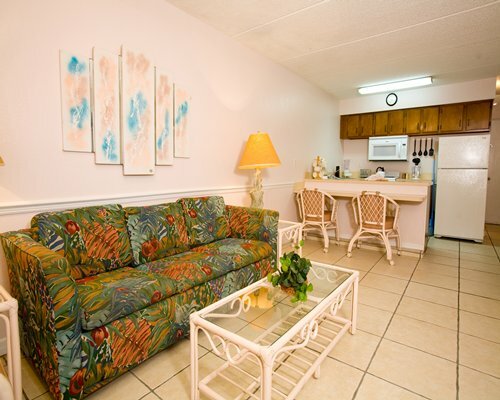 TVs are provided. 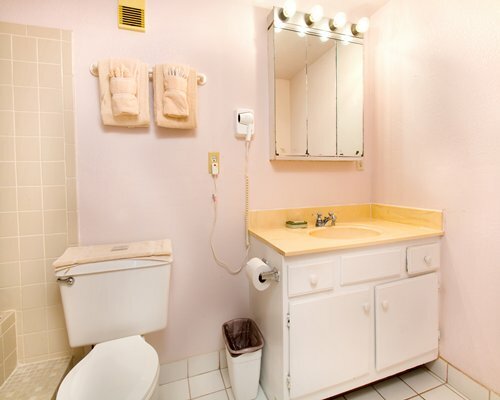 Bathrooms feature a whirlpool tub. 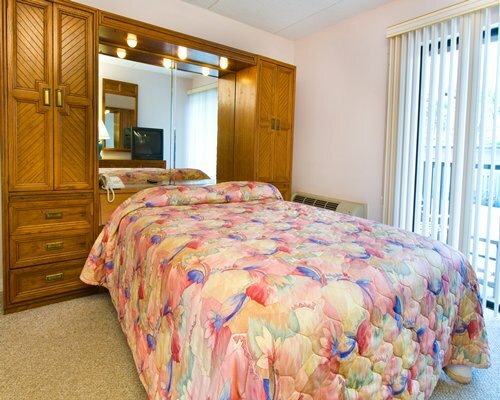 Studio units sleep up to four guests with one bath, a sleep sofa, and a Murphy bed. 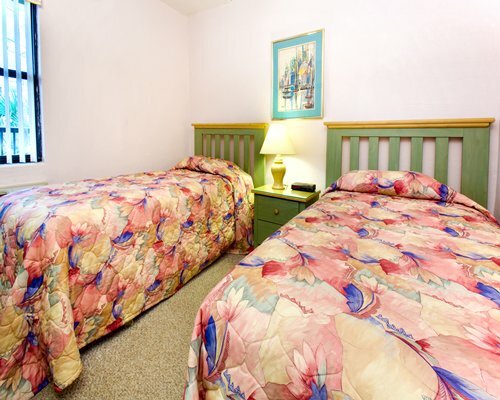 One-bedroom units sleep up to four guests also, and have either one or one-and-a-half baths, with one queen-size bed and one sleep sofa. 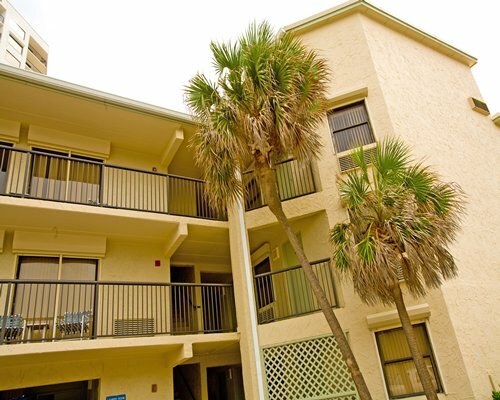 One-bedroom lofts and two-bedroom units both accommodate up to six visitors, and have one and three-quarter baths, one queen-size bed, two twin beds, and one queen sleep sofa, perfect for a family vacation.